Magnetic building tiles from Volterin are a must-have for every home. 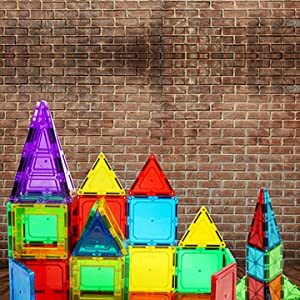 Beautiful colors, easy-to-use, these transparent 3D tiles connect along the edges and can be used to create super fun and creative 3D shapes. 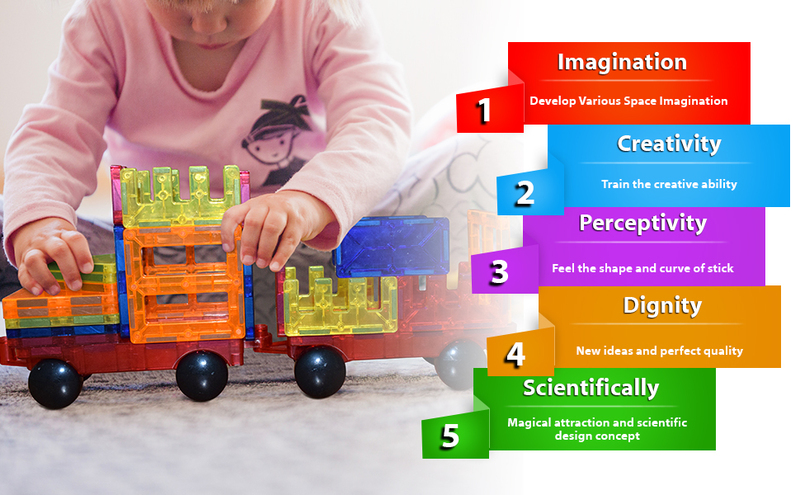 The set includes 130 pieces, perfect for hours of fun, imaginative and educational play. Built to last, this set can be passed down to siblings and future generations making it a family keepsake! No surprise, these are the best kids gifts for any occasion! 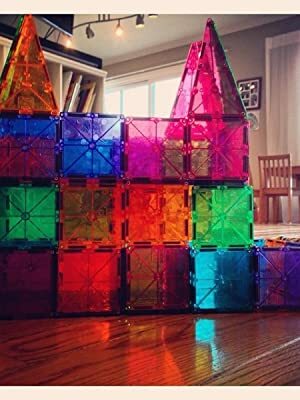 Magnetic building tiles are innovative, tons of fun and great for inquisitive minds to learn about mathematical concepts, shape exploration and more. Why Choose Magnetic Tiles from Volterin? 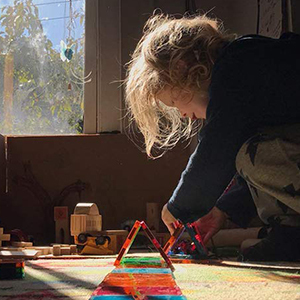 The cheery colors that reflect the light and the easy-to-use style of these magnetic building tiles will make them a favorite with your kids instantly. 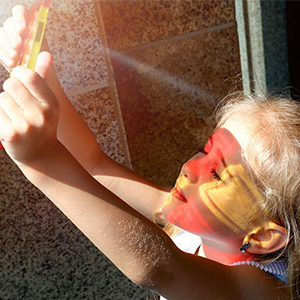 Make Learning Happen with Play! The tiles are a great learning tool. From identifying shapes to guided shape exploration to learning geometrical principles. There is no end to how you can use these tiles to help kids learn, while having fun! These magnetic tiles teach spatial relationships, math, logic, and problem-solving through creative building. The tiles have universal appeal and will make a great Christmas gift for kids. These tiles are also apparently indestructible so worth investing in. 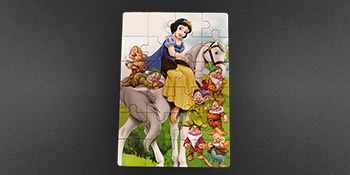 Fix the pieces exactly on the picture frame and complete the lovely picture of Snow White with with seven dwarves. Dream Big and Build Big! 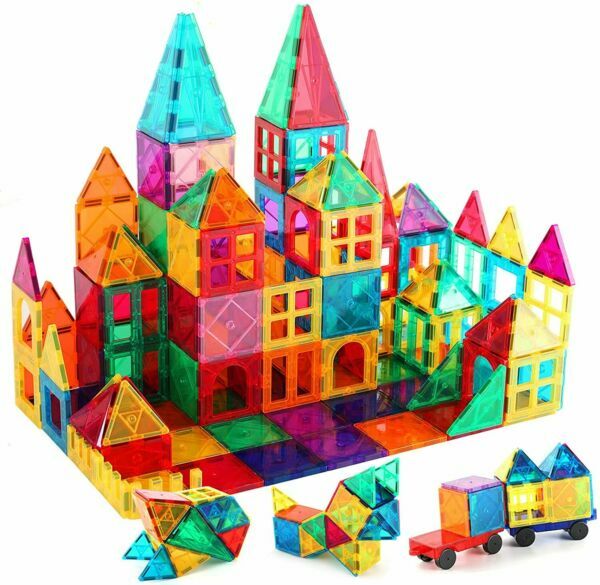 Colorful Building Blocks For Endless Possibilities Of Shapes!!! 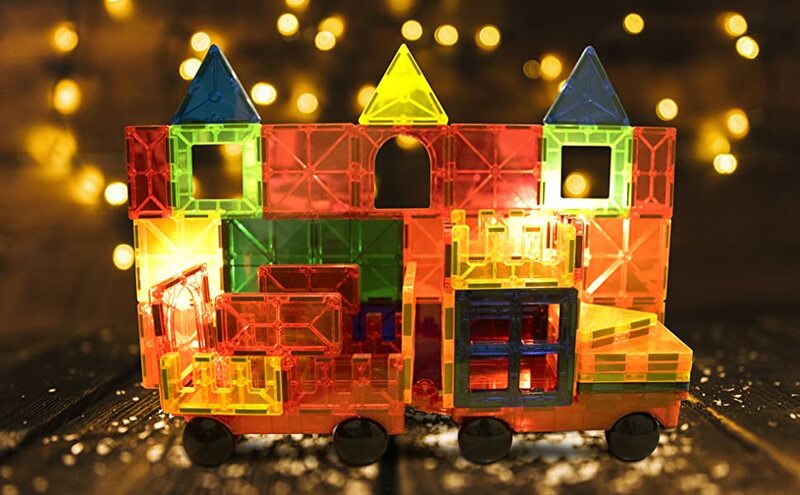 The colorful building blocks for endless possibilities of shapes. Be an architect, be an engineer, let your imagination run wild and materialize by Volterin magnetic Tiles. Suitable for all ages (3+ and up) by one party of in groups, a great way to spend quality time with the family and love ones, feel the sense of achievement together using building these Tiles to build bonds. Never too early to start developing kids creativity at a young age, These clear Tiles offer learning by playing, children will acquire a strong sense of color, geometrical shapes including 3D forms, numbers counts, magnetic polars, as well as the creativity which is the key factor to success in today's ever changing environment.